Backing up the database of your Forum on daily or weekly basis is an action which will provide you with a backup plan for every possible issue you might experience with your application. 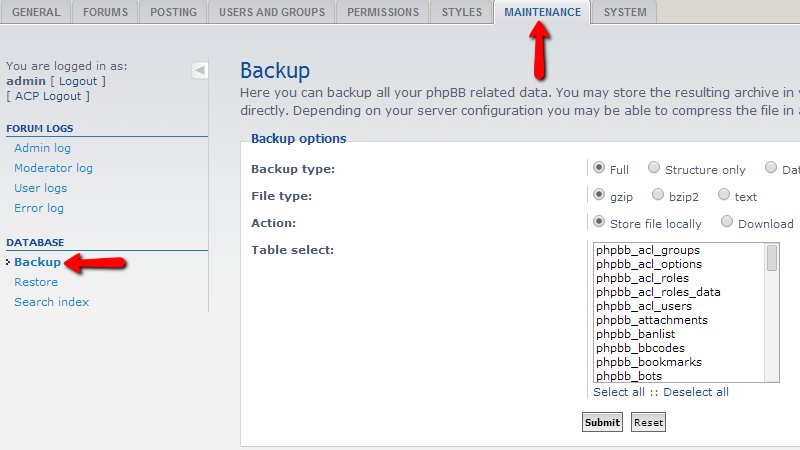 In order to access the backup feature for the database of your Forum you will need to login into the Administration Control Panel of the Forum and navigate to Maintenance>Database>Backup. This will redirect you to a page where you should configure the backup before you can download it. Once you have configured all of these settings it is time for the backup to be initiated. This can be achieved with the Submit button located at the bottom of the page. Then you will be prompted with the file in which the database is backed up for download and if you accept the download and allow few minutes you will have the backed downloaded on your local computer. 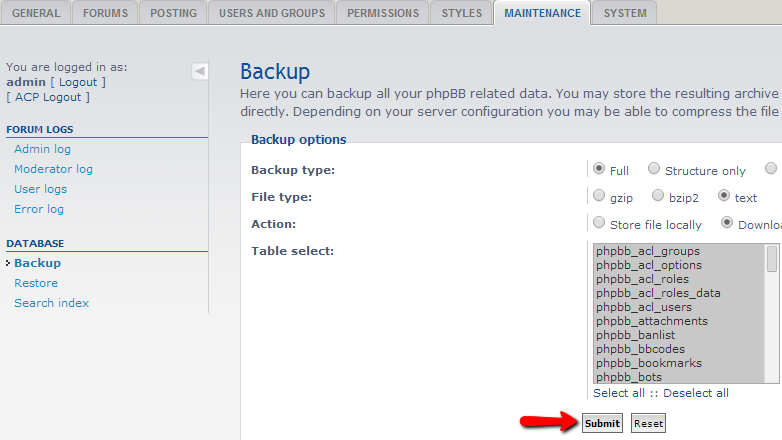 That is all you need to do in order to backup the database of your Forum!